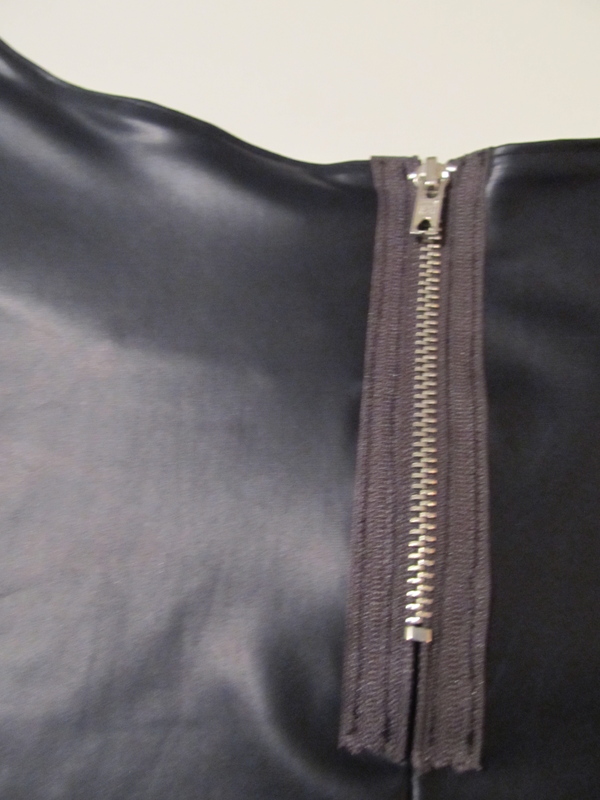 I found a lovely way to use my Dolce and Gabbana stretchy pleather this week. I wanted to avoid the obvious thing that came to mind, leggings for anyone wondering what is obvious in my brain, so I started looking around for something different. 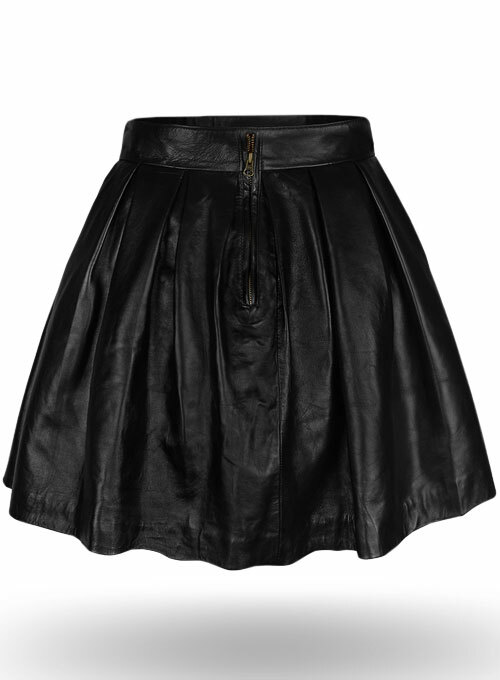 There are a lot of leather skirts floating around on the net at the moment but that required structure, something my fabric was seriously lacking in. After staring and playing around with it for at least an hour, I realised that I was thinking too stretchy when the fabric actually had a really lovely drape. Behold my first circle, or part there of, skirt! 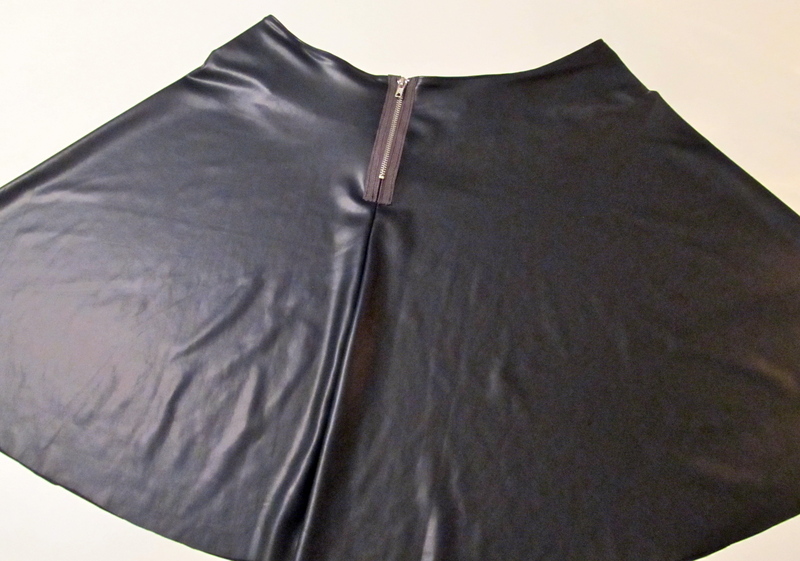 It’s just a basic 1/2 circle skirt with help from Mahlia at Fickle Sense. I added an exposed zip at the back and used a cotton I had lying around at the waist so that the waistband wasn’t stretchy. My birthday is on Monday so hopefully I will have some lovely new sewing things to post about. I love my birthday. I’m not afraid to admit that I loved the attention I got as a kid because I was, coincidentally, born on my Dad’s birthday. Tale goes that he was at the pub celebrating when he got a distressed call from my mother. Amelia Jane. Disrupting good beers since 1992! This is amazing!! Just a question, how did you make the separation between the skirt and the waistband invisible? As in, how did you sew the cotton on? You are currently reading In the Name of Pleather at A La Amelia.